and two types of Zebra and Rainbow. Each ring can be woven in less than an hour. 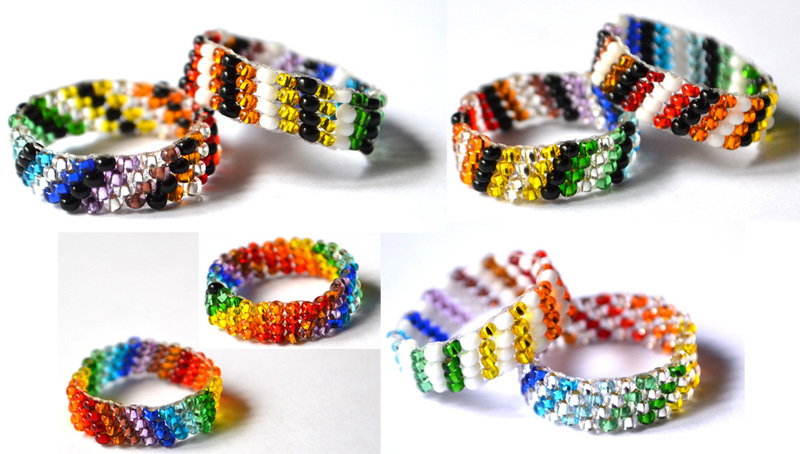 The rings needs from 14 up to 16 colours of beads to be woven. The bead colours are numbered in each bead in the first graph of each pattern for easier weaving. The thread way (thread path) is shown.